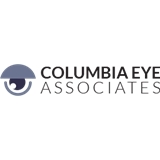 Columbia Eye Associates (Washington) - Book Appointment Online! I was greeted in a nice and promptly way. Wait time was maybe 2 minutes. The pre-screener was very profesional. Once I got to see Dr. Luthra I was ready for the eye exam. He was profesional and explained everything in detail. I was very comfortable and left feeling good!